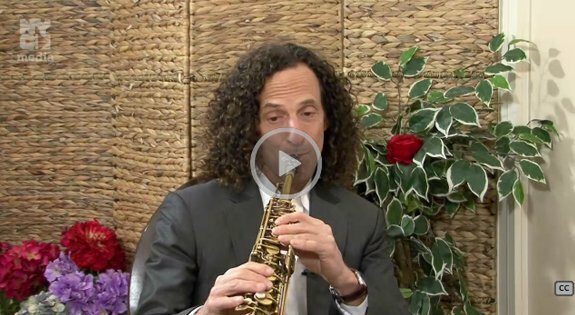 One of the most iconic and best-selling instrumental musicians of all time, Kenny G is set to host the 2016 Musicians Hall of Fame Induction Ceremony and Concert. The show will take place Wed., Oct. 26 at historic Nashville Municipal Auditorium beginning at 7pm. This spectacular evening of recording history and music pays tribute to some of modern music’s most revered musicians, the artists often behind the scenes. Tickets are available here. The 2016 Musicians Hall of Fame™ Induction Class includes Garth Brooks & The G-Men (Bruce Bouton, Mark Casstevens, Mike Chapman, Rob Hajacos, Chris Leuzinger, Milton Sledge, Bobby Wood), Don Felder (formerly of The Eagles) for the Iconic Riff Award for "Hotel California," Musician Jerry Reed, Musician Ricky Skaggs, Musicians from the Sigma Sound Studio Rhythm Section (Ronnie Baker, Tommy Bell, Roland Chambers III, Charles Collins, Bobby Eli, Dennis Harris, Norman Harris, Vince Montana, Lenny Pakula, T.J. Tindall, Larry Washington, Jimmie Willams, Earl Young), Producer Award to Allen Reynolds, and Engineer Awards to Lou Bradley, Mark Miller, Ron Reynolds and Joe Tarsia. Performing will be GRAMMY Award winners Peter Frampton and Trisha Yearwood with 2016 inductee Don Felder. GRAMMY Award winner Steve Wariner will pay tribute to the late Jerry Reed. GRAMMY Award winner Bruce Hornsby will join GRAMMY Award winner and 2016 inductee, Ricky Skaggs. Also performing will be Russell Thompkins, JR. of The Stylistics, taking the stage with the Sigma Sound Studio Inductees.